Ooo, talk about a "Why didn't I think of that?!?!" idea! 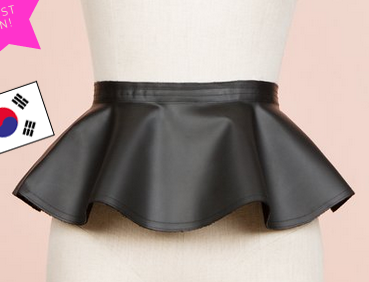 Love this PVC peplum belt, perfect for adding a frill to skirts, dresses, even shorts or pants if you so wish!! Buy at Opening Ceremony for $130.